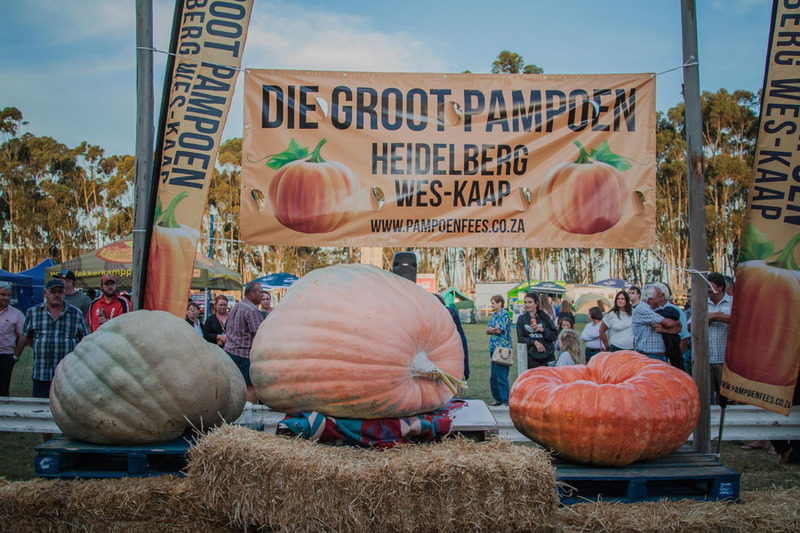 More than 50 pumpkin growers are getting ready to participate in the annual Giant Pumpkin Festival at the Heidelberg Showgrounds in the Western Cape on 23 and 24 March 2018. 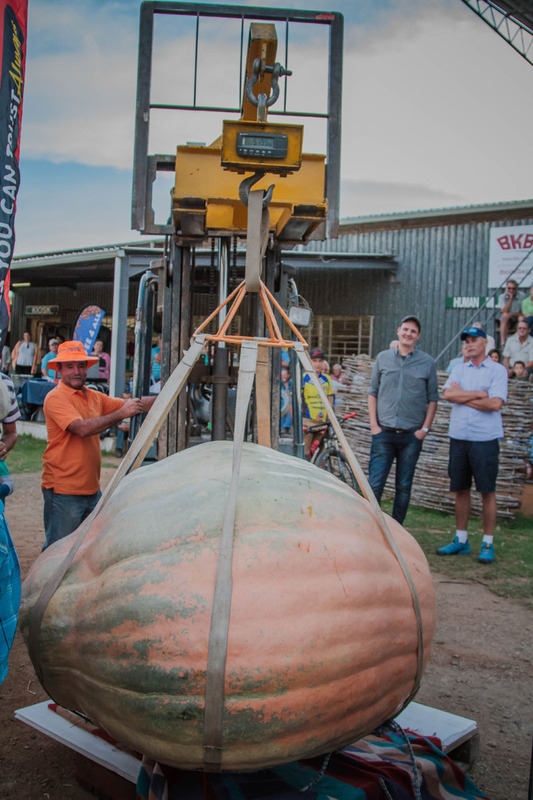 Often weighing in excess of 300kg, these giant pumpkins will compete to be crowned the 2018 champion and perhaps even break the current South African record of 556kg, held by Hugo le Roux since March 2017. If your pumpkin has what it takes, you can still enter right up until the day of the competition (24 March) and stand a chance of winning your share of R35 000 in cash prizes. Additional prize money will also be awarded should the winning pumpkin set a new South African and/or world record. 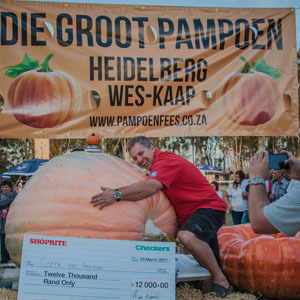 In 2017 Corné van Greunen from Riversdale was crowned the 7th Giant Pumpkin Champion with his 519.5kg pumpkin. Although still far from the 1190.49kg World Record that was set in October 2016 by Mathias Willemijns (Belgium), the South African competition has seen an immense increase in weight over the last few years. Shoprite and Checkers have been a proud sponsor of the competition for the past seven years and continues to support local communities in order to help them grow and develop. The Heidelberg Pumpkin Festival is a one-of-a-kind event with a variety of stalls and activities for young and old. Additional activities this year will include a MTB race, a golf competition, a trail run, a 4X4 challenge and an ox braai with live music and dance. In keeping with Heidelberg’s strong community spirit, all proceeds from the festival will be ploughed back into the town.